What the what is up with this giant rift of job title understanding? It’s a mess. 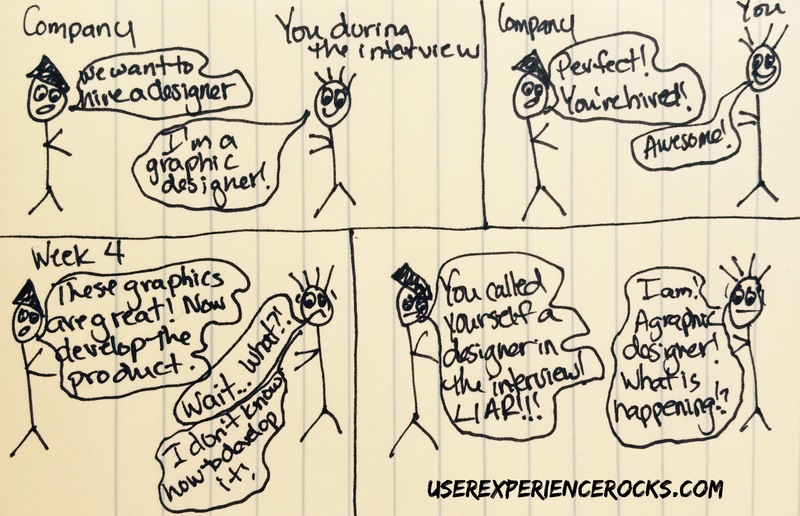 Even designers argue about what the job titles “really mean.” And the worst part is that companies without previous design experience (Believe it or not, those companies still exist. Seriously) don’t even know how to explain what they want, even during interviews. If you have run in to this situation in the past, don’t feel like it’s your fault. Between the confusion around titles and companies not always having a firm grasp of what they’re looking for, even the most seasoned designers can end up in an interview/job that doesn’t apply to their skill set.